For more than two decades, the Los Angeles Police Department worked to solve a series of 11 murders that occurred between 1985 and 2007 that were linked to the same suspect by DNA and ballistic evidence. Because the killer took an apparent 14-year hiatus between 1988 and 2002, the media dubbed him the "Grim Sleeper." Here are the current developments in the trial of Lonnie Franklin Jr.
Nov. 9, 2015 - A proposed witness for the defendant in the Los Angeles Grim Sleeper case is not qualified to testify as an expert, a judge has ruled. Superior Court Judge Kathleen Kennedy said the testimony of a so-called DNA expert could not be used at the upcoming trial of Lonnie Franklin Jr.
Lawrence Sowers was prepared to testify that some of the DNA found at the crime scenes of victims attributed to Franklin belonged to convicted serial killer Chester Turner instead. Judge Kennedy ruled that Sowers "woefully failed to meet the generally accepted methods of the scientific community in the area of forensic DNA analysis." During a week-long evidentiary hearing, Sowers buckled under fierce cross-examination by Deputy District Attorney Marguerite Rizzo, who challenged him on his education, his calculations, and errors in his findings. When Sowers began to change his finding during the hearing, Franklin's defense attorney Seymour Amster asked the judge to postpone the hearing. "I do not feel comfortable," Amster told the judge, "representing Mr. Franklin at this moment with Dr. Sowers on this case." An obviously frustrated Judge Kennedy denied the request. "I’m not suspending this proceeding," Kennedy said. "We have been in progress on it for days and days and days and days and days and we’re going to finish it." Franklin is scheduled to go on trial Dec. 15 on 11 counts of murder and other charges. 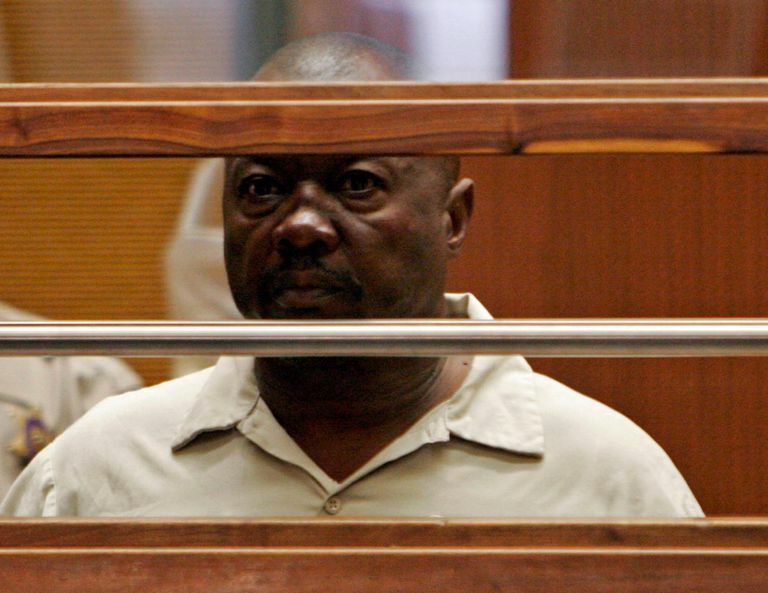 May 1, 2015 - An attorney for the accused serial killer known as the "Grim Sleeper" believes DNA evidence in the cases of two women his client is suspected of killing belongs to another serial killer already on death row. Seymour Amster, attorney for Lonnie Franklin Jr., told the court that an expert hired by the defense connected DNA from two of the cases to Chester Turner, who was convicted of killing 14 women in the Los Angeles area in the 1980s and 1990s. At a pretrial hearing, Amster told the judge that the defense's case will revolve around the DNA evidence. He said his expert's finding will produce "lingering doubt" in the minds of the jurors. Prosecutor Beth Silverman called the defense DNA findings "outlandish." She said Turner's DNA has been in the system for years and if any of the DNA evidence in the Franklin case was Turner's it would have produced a match a long time ago. "This guy's taking it [the DNA] and doing his own abracadabra," Silverman told reporters, "and coming up with a conclusion that is outrageous." The defense had requested DNA profiles of everyone who committed a violent felony during the 1980s and 1990s. Judge Kathleen Kennedy denied the motion, calling it a "fishing expedition." Feb. 6, 2015 - Nearly five years after a suspect was arrested in a series of Los Angeles murders known as the "Grim Sleeper" case, a trial date has finally been set. Superior Court Judge Kathleen Kennedy said jury selection will begin June 30 in the murder trial of Lonnie Franklin Jr., who is accused of killing 10 women and one man from 1985 to 2007. The setting of the trial date came after members of the families of victims in the case spoke out in court demanding a speedy trial. The family members were able to do so under the provisions of a new California law, known as Marsy's Law, which is a voter-approved bill of rights for victims of crime. The law allows family members to address the court and demand a speedy trial. Those who spoke during the hearing blamed Franklin's attorney for the delay in justice, saying he has been dragging his feet. Prior to the passing of Marsy's Law, it was up to the discretion of the judge if victims' families were allowed to speak at court hearings, parole hearings, and sentencing. The prosecution also blamed the defense for the delays in the case. Deputy District Attorney Beth Silverman said Judge Kennedy has failed to hold the defense to deadlines. Franklin's attorney, Seymour Amster, said it was the prosecution who was responsible for delays because they have not turned over evidence in the case for further DNA testing. Amster said a defense expert found DNA from another man and three of the Grim Sleeper crime scenes and wants to run tests on more pieces found at the scenes. "There are rumors that I'm trying to delay this thing," he said. "I'm really not. I'm a strong proponent of do it once, do it right." DNA evidence that linked a former Los Angeles garbage collector to at least 16 murders was obtained legally, a California judge has ruled. Judge Kathleen Kennedy ruled that DNA from Lonnie Franklin Jr. could be used at his trial in what is known as the "Grim Sleeper" serial killer case. Prosecutors will seek the death penalty for a California man accused of the serial killings of women in a case known as the "Grim Sleeper" murders. Lonnie Franklin Jr. is facing charges in the murder of 10 women and attempted murder of another. Investigators in Los Angeles believe the "Grim Sleeper" serial killer, already accused in 10 murders, may be responsible for eight additional deaths. Police are looking for the public's help in identifying three possible victims of Lonnie Franklin Jr. from photos they found hidden at his home. Suspecting more victims in the "Grim Sleeper" serial killer case, the Los Angeles Police Department released to the public 160 photographs of women found in the possession of the main suspect, Lonnie David Franklin Jr. Although many of them have been identified, none have turned out to be victims. The man accused of killing ten women in South Los Angeles in the "Grim Sleeper" case has entered a not guilty plea to 10 counts of murder and one count of attempted murder. Lonnie Franklin Jr. also faces special circumstance charges making him eligible for the death penalty in California. Using DNA from his son to identify him as a suspect, the Los Angeles Police Department has arrested a man suspected in 11 serial killings going back to 1985. Lonnie Franklin Jr., who once worked as a police garage attendant, was charged with 10 counts of murder, one count of attempted murder with special circumstances of multiple murders. The Los Angeles Police Department has released a sketch of a man they suspect in at least 11 deaths since the 1980s in hopes of tracking down the serial killer. The suspect is known only as the "Grim Sleeper" due to the fact that he apparently took a 14-year hiatus. Los Angeles detectives hope a $500,000 reward set by the city council last week will produce some new leads in the case of a serial killer they believe is responsible for 11 deaths over a two decade period. All of the victims, 10 women and a man, were black and were found near South Los Angeles.